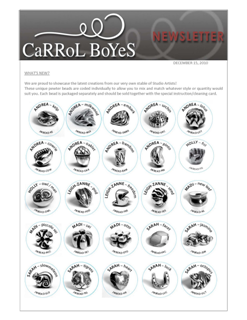 Create your own jewellery together with Carrol Boyes. Choose just a single bead - or several and make your own personal attitude. String and closure can be bought in this shop as well.